satb2gs -- Convert SATB staves into a grand-staff arrangement. 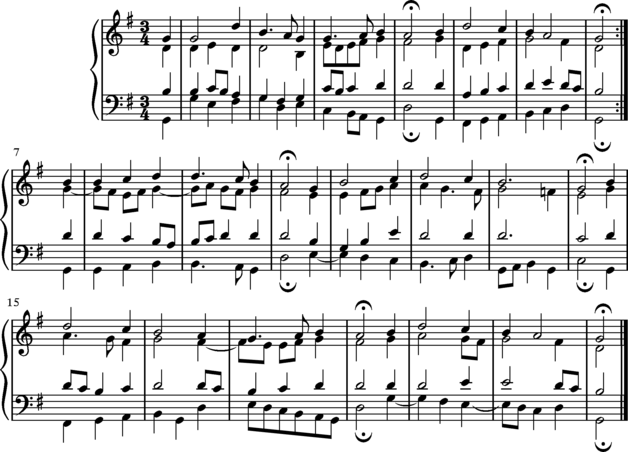 The satb2gs program converts Humdrum scores with the first four (monophonic) **kern spines in the file into grand-staff (two-staff keyboard) style layout. There must be at least four **kern spines in the Humdrum score, with the order of the parts in the file presumed to be bass, tenor, alto, then soprano. The spines do not have to be contiguous in the file, and other spines (such as **text spines) can interleave any of the SATB parts. Any **kern spines after the first four will not be processed. If the parts are not contiguous, the tenor part will be moved next to the bass part and the alto will be moved next to the soprano part. 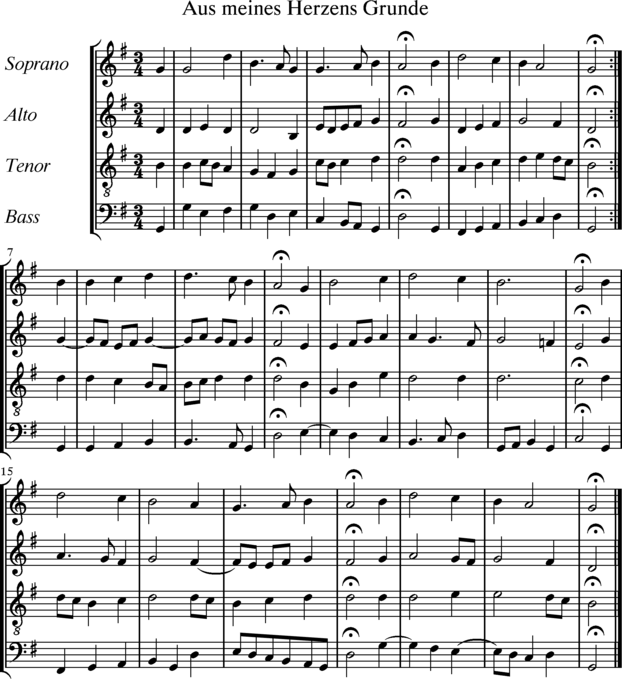 The original clefs of the SATB parts will automatically be commented out in local comments, and the treble and bass clefs of a grand staff will be placed at the start of the soprano/alto and tenor/bass staves. Also, fermatas in the tenor and alto parts will automatically be hidden if they occur at the same time as fermatas in the bass and soprano parts, respectively, as long as the tenor/bass or alto/soprano note durations are the same. Notice that the exclusive interpretation line now contains two **kern spines rather than four, and that the fermatas in the inner voices are now marked as hidden. Here is an example of combining both layouts of the music into a single vocal/piano score. 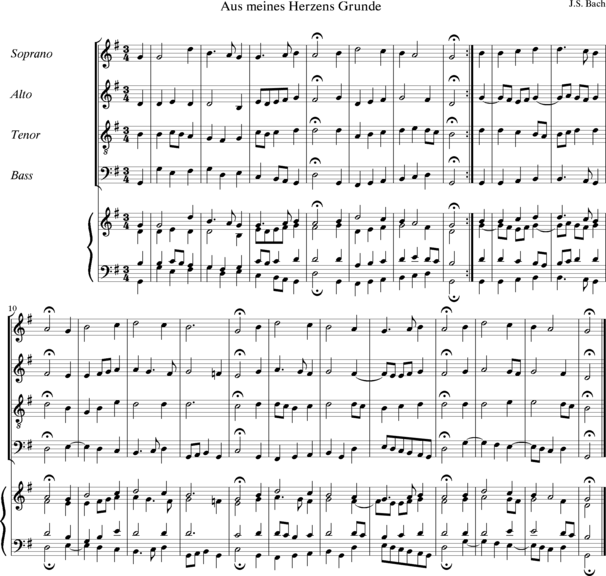 First generate a grand-staff format for the chorale, then assemble it with the original 4-staff layout and print. The source code for the program was last modified on 6 Feb 2011. Click here to go to the full source-code download page.